File this under business opportunities for SMB, Car Wash Ownership. Don't miss The Car Wash Retailing Summit™ in Chicago, September 27-28, 2012. 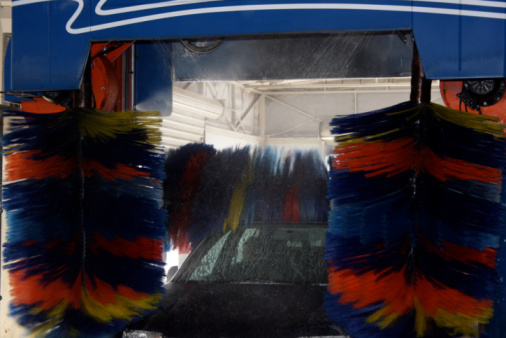 In a recent study commissioned by the International Carwash Association®, 69 percent of respondents reported using professional car washes (widely owned by SMBs) most often. This statistic is up from 52 percent in 1996. Details about the study’s findings are available in the summer issue of CAR WASH Magazine, due out mid-June. The findings will also be made available to car wash business leaders for discussion at The Car Wash Retailing Summit™ in Chicago, September 27-28, 2012. The International Carwash Association® is the non-profit trade group representing the retail and supply segments of the professional car wash and vehicle care industry across North America and around the globe. With nearly 2,000 member companies representing more than 15,000 car wash locations in approximately 25 countries, the Association is the business partner and voice of the professional car wash industry. The Association produces The Car Wash Show™, the world's largest car wash convention and trade show; administers WaterSavers®, the industry's leading environmental recognition program; publishes CAR WASH Magazine, the premier source of information for the car wash business leader; and provides Wash Count, a tool for car wash operators to benchmark and compare their business results. To learn more, visit www.carwash.org.